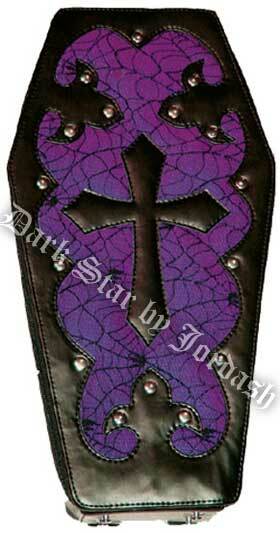 Reviews: Dark Star Purple Gothic PVC Coffin Cross Backpack Purse [DS/BG/5923P] - $49.99 : Mystic Crypt, the most unique, hard to find items at ghoulishly great prices! I just received my backpack purse and I LOVE IT, THE QUALITY IS GREAT AND ITS STURDY AND PERFECT.. It arrived very quickly too. This is a great buy and great price..